Looking for something in Douglasville? We’ve got an App for that! The Visit Douglasville App for iPhone, iPad, and Android users. 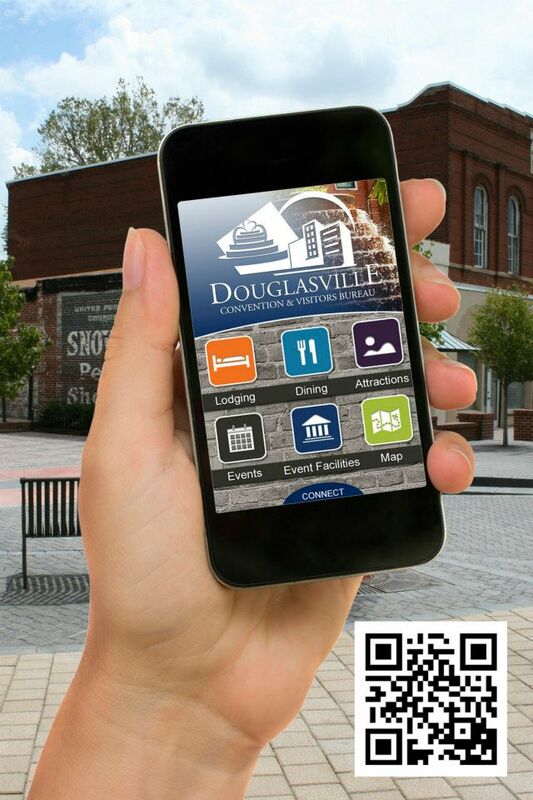 The app is free to download and allows you to explore Douglasville at your fingertips. Categories include dining, attractions, lodging, events and more! Scan the QR Code for instant download. Or, download the new Visit Douglasville App on your iPhone or iPad through the App Store, or on Google Play for Android devices. For more information about the Visit Douglasville App, go to our website, http://www.visitdouglasville.com or call us at 770.947.5920.